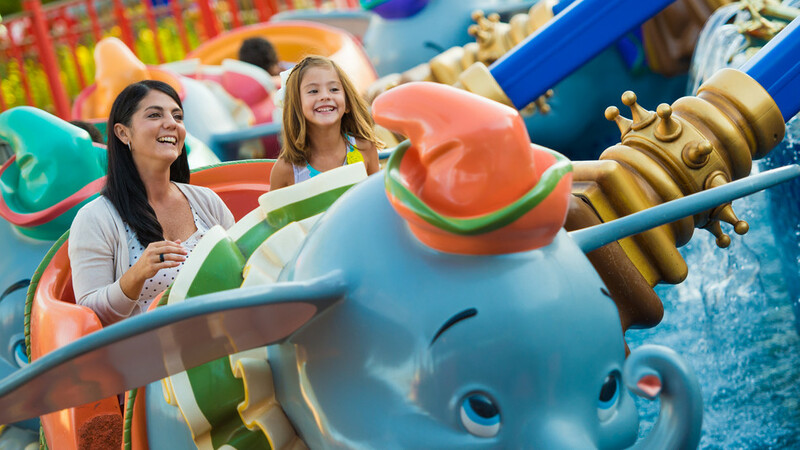 Based on the character from the 1941 animated feature, the sixteen ride vehicles each resemble Dumbo and are mounted on articulated armatures connected to a rotating hub. The passengers ride in the “Dumbos” and can maneuver them up and down with a joystick that operates a hydraulic ram. The ride itself rotates counterclockwise at a constant rate.